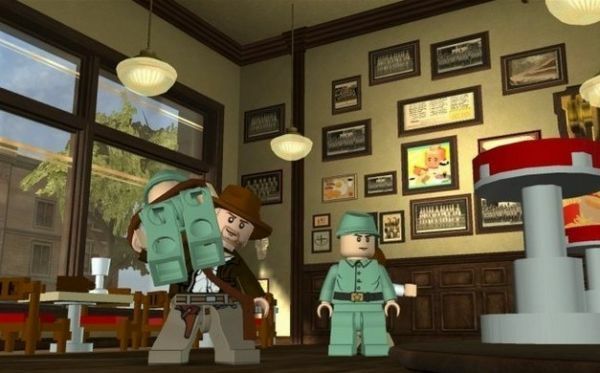 Lego Indiana Jones 2 was released last week, to the delight of plastic block fans everywhere. The game is an excellent sequel, adding in levels based on The Kingdom of the Crystal Skull as well as a co-op creation mode. All this, plus the original game's levels, too! But one thing was missing, and it's a feature we dearly love: online co-op. Couch co-op is great, but sometimes, your real life partners aren't around to bust some Nazis. According to the LucasArts Twitter feed, this problem will be fixed soon. A patch is being prepared that will add in online co-op! Not only will Xbox 360 and PS3 Indy fans be able to hook up through the game's story mode, they'll be able to work together in the level builder, as well. We tip our well worn fedoras to LucasArts for this excellent inclusion! Page created in 0.9122 seconds.